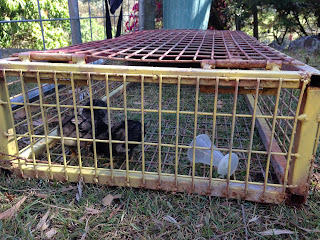 One afternoon a few weeks ago, I went down to the Chook Pen to lock the girls up safely for the night. 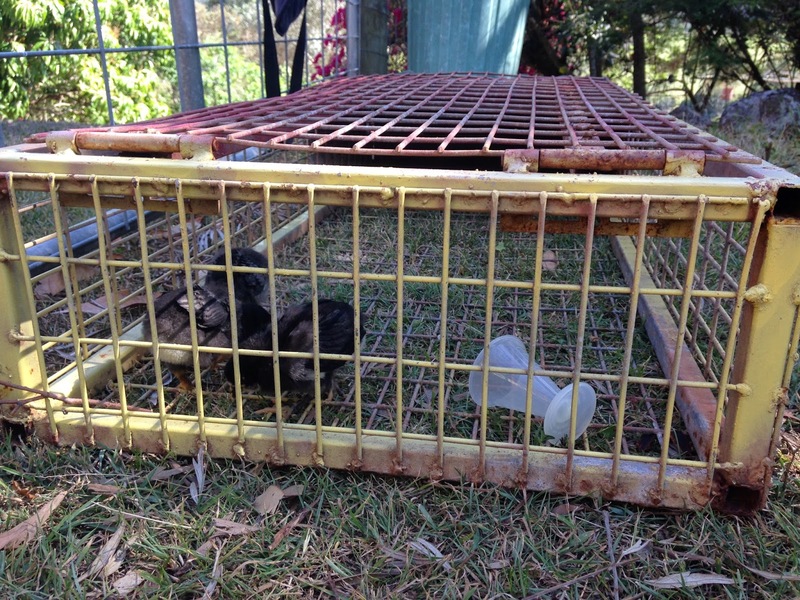 Our black chook, 'In The Box' was no where to be found. The girls had been hanging around the dog pen for the previous few days, eating the left over dog food and scratching under the fruit trees in there. Furious, I stomped over to the dog pen, ready to kill Pippi, our Kelpie cross Border Collie. I was certain she must of killed In The Box. To my surprise, there were no feathers, nor a carcass. I immediately calmed down, said a mental apology to the dog for jumping to conclusions and had a search around the house yard for either a chook, a carcass or a very fat snake. Nothing. For the next week, In The Box was not seen and I accepted that she had been eaten by something during her daylight free ranging. 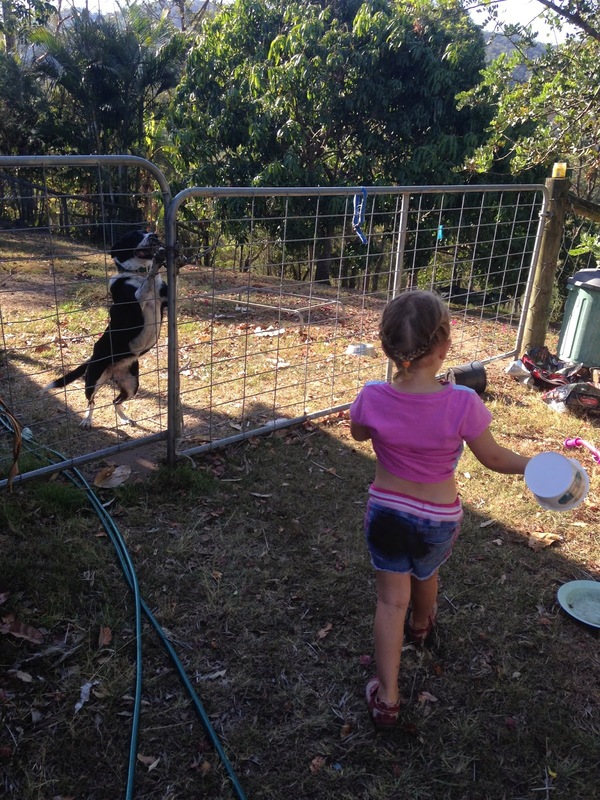 Then on the following weekend, I saw her run across the front yard and into the Chook Pen for a drink and some feed. I kept an eye on her and discovered where she had disappeared to.... Yes, In The Box was broody and had hidden away a clutch of eggs below a retaining wall. 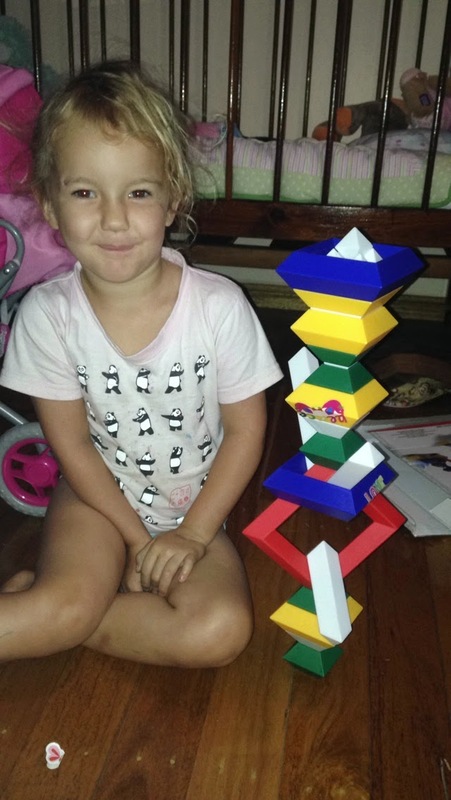 Unfortunately, we have no rooster so In The Box was wasting her time, sitting on ticking timebombs, which would eventually go rotten and explode in an unworldly stench. I did some googling and decided the best thing would be to buy her some fresh chicks to stick under her. At night I moved her and four of her unhatchable eggs into a small pen into the garden. I left her there for the day to get used to her new nest. The next night, I took the chickens down and slipped them under her one by one, removing all but one of the eggs. I probably could have left all the eggs or taken all of the eggs, I doubt chooks can do maths, but better safe than sorry. I then spent a restless night hoping In The Box didnt peck the chicks to death. The next morning I went out, expecting to see three tiny corpses and one angry chook. To my delight, In The Box took to her new brood with love. Two of the chicks were under her and the third was sitting on her back. I left them to be, throwing out the last egg the following night. In The Box has turned out to be an excellent mother. 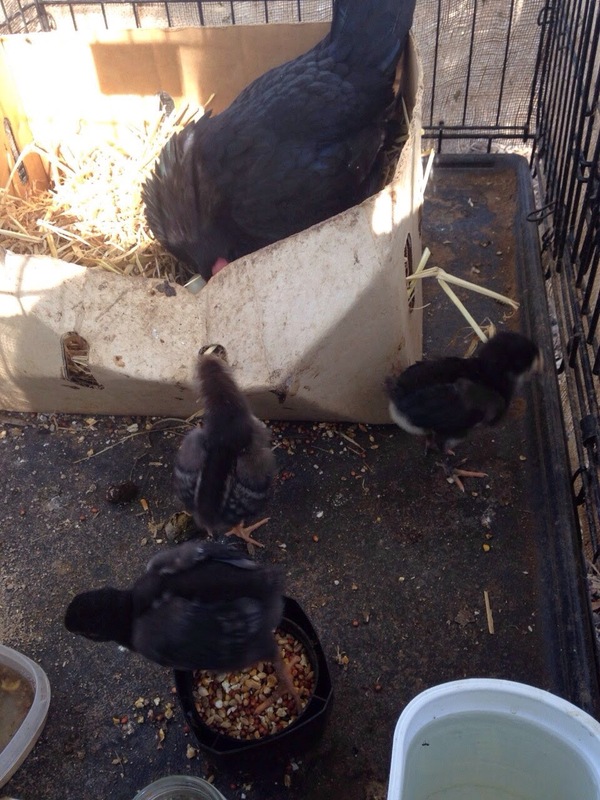 When I was certain she would look after her chicks, I return the four of them to the Chook Pen with the other Hens. 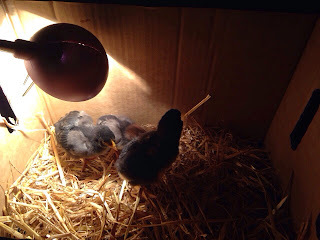 In The Box has continued to be an excellent mother and her chicks are gowing fast. I can't yet tell whether any of them will be roosters. If they are, I'll be keeping one and the others will be destined for the stock pot or as dog food. Two of my other hens- Chicken Dance and Fly also went broody and I purchased a dozen fertilised eggs to split between them. I'm now playing the waiting game to see if any of the eggs will hatch. As a University Student, I lived in several share houses, with a variety of young men and women from around Australia and the world. Some have become lifelong friends and others I was glad to see the back of. 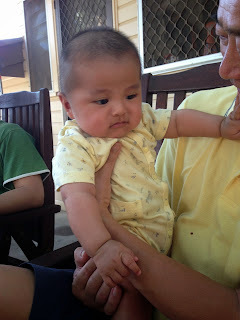 One housemate, who I hope to be friends with for a long time, is my friend Owen. 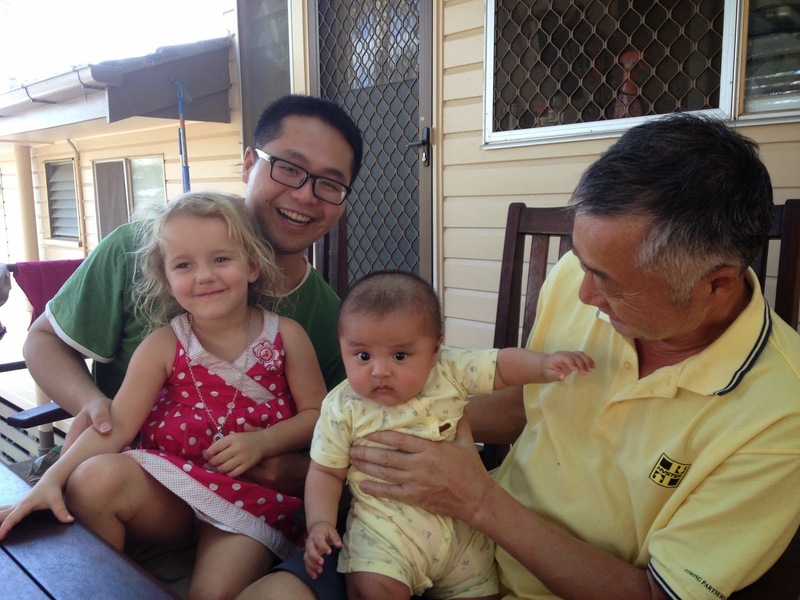 I lived with him for about six months in an old Queenslander in Coorparoo, South Brisbane. Sadly, the house has been demolished to make way for higher density, small housing. I had lots of great adventures and times with Owen- Jet skiing in the Bribie Island Passage, shared meals, long conversations over bottles of wine... I was sad to see him go back to China after working in Australia for some time. 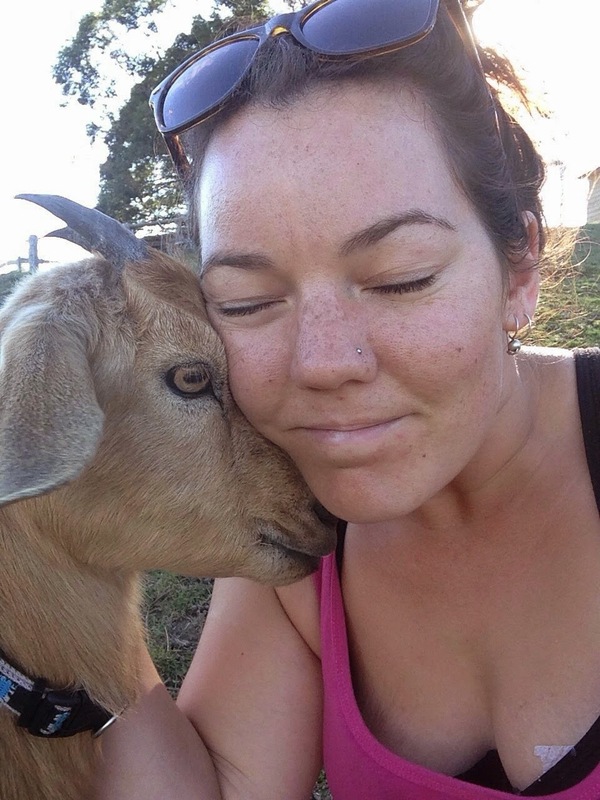 In the years that have passed, Owen met his partner Jess, got married and he and his wife returned to Australia to start a new life. 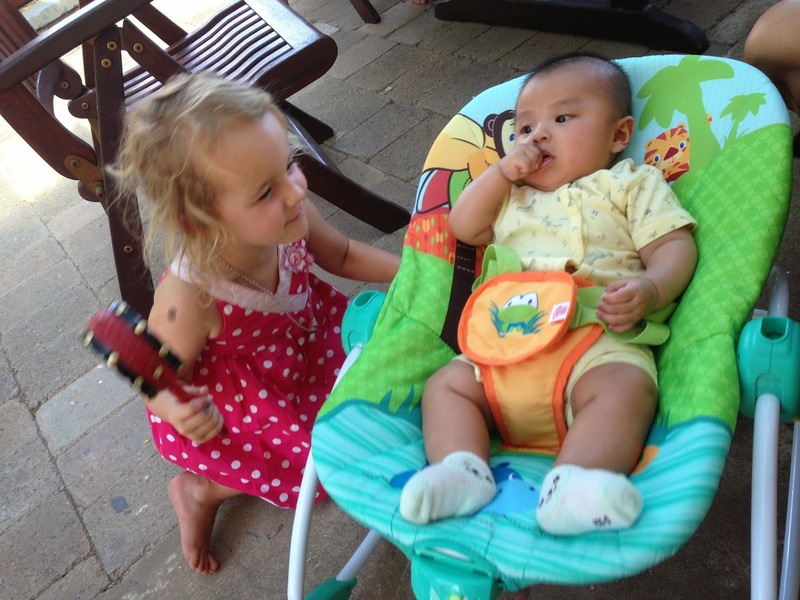 Recently, they welcomed their first child into the world- William. A few weeks ago, Gigi and I made the 1.5 hour drive to meet William for the first time. 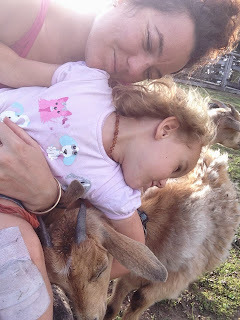 Gigi was very interested baby William and I absolutely loved the cuddles from a young baby. It was also wonderful to talk to Jess about birth, breastfeeding, motherhood and lack of sleep. I don't have many friends with babies or children, so its great to have those talks with other women who know where you are coming from. 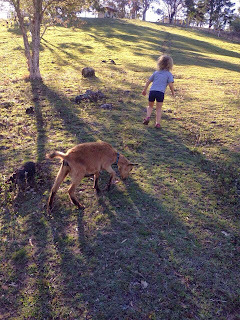 There is always something fun to do at home, a free adventure to be had and an animal friend to play with. Gigi has been having a run of bad luck lately. 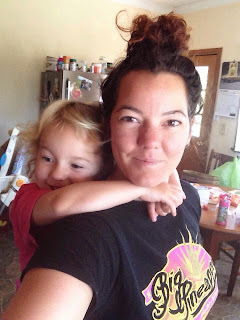 She is very adventurous, very physical with climbing/ exploring/ jumping/ etc. This month she's had her fair share of injuries and illnesses, so hopefully that will be all for some time. 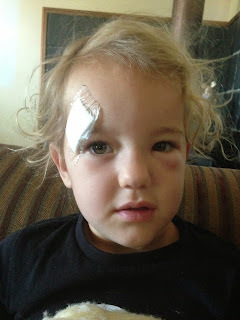 First, she split her eyebrow open by riding her bike into my brother car, and straight to the Emergency Room at our nearest hospital we went. 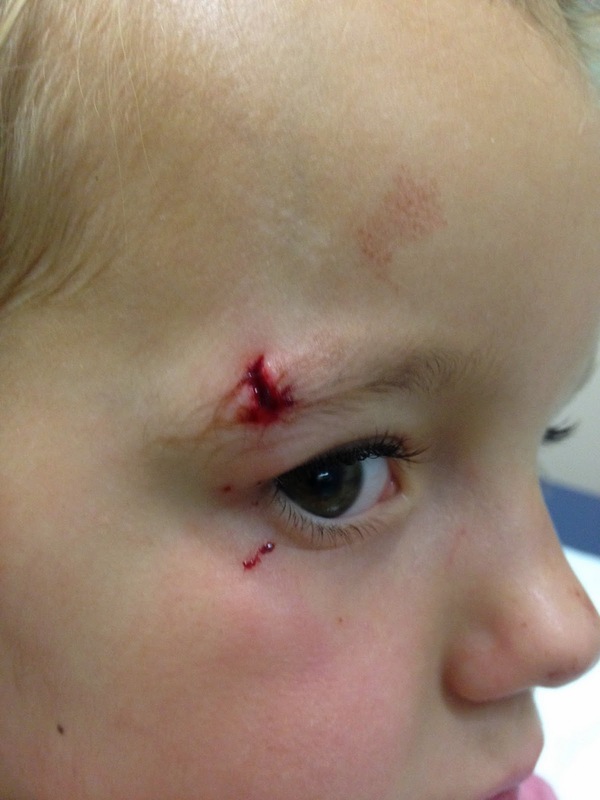 These days doctors don't give kids stitches on their face, unless the injury is serious. 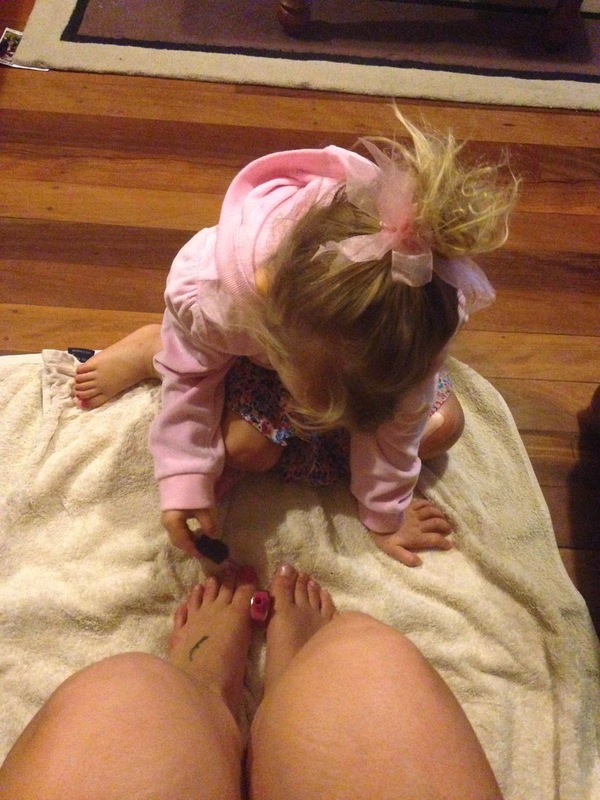 A specialised glue is now used to glue the skin together to assist healing. 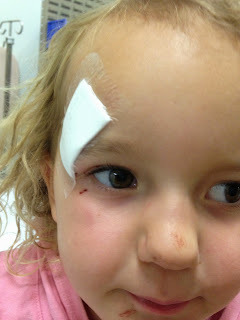 This is the second time Gigi has had her face glued back together. The following week, whilst exploring a creek in the Byron Bay Hinterland on our camping trip, Gigi picked up a paralysis tick on her OTHER eye, right in the corner near her tear duct. 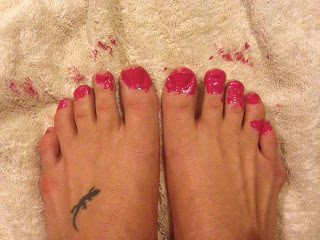 I was lucky enough to spot it almost immediately, however it took me twenty minutes to calm Gigi down and convince her to let me pull it off with tweezers. In that twenty minutes, her face and eye swelled up from the toxins in the tick bite. If that wasn't enough injuries for the fortnight, she also ran into other child whilst playing and put her teeth through her bottom lip. For some time I have LOVED Chai Tea. Real Chai Tea. However I didnt drink it very often because its really hard to find anywhere that brews it from spices. Most Cafes seem to only serve packet mix Chai Lattes, which are full of un-pronounceable ingredients and are sickly sweet. Then I discovered Chai is actually not hard to back at home. As per my general method of cooking, I don't have an exact recipe for Chai. 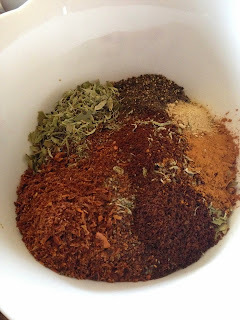 I usually just add in the same spices but each time a slightly different amount, depending on how much of each spice I have available and how I'd like the Chai to taste. 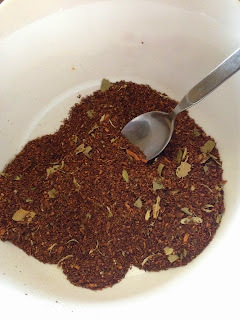 As I like to have Chai in the evenings, after dinner, I make my Chai on Rooibos Tea, which is naturally free from caffeine. I haven't been able to find loose leaf tea, just tea bags of Rooibos. This hasn't been all bad though, as it gives me an estimate of how much tea I am making. - using a blender/ mortar and pestle/ food processor/ coffee grinder, chop Peppercorns, Cloves, Star Anise, and Cardamon Pods into finely, but not to a powder. - Mix in with Rooibos Tea. The 'instant' way is to add one teaspoon per cup to a teapot, with a mesh insert (so two teaspoons in a two cup tea pot), add boiling water, allow to infuse for 5 minutes, pour into mugs, add milk and a teaspoon of honey. The 'long way', which results is much better tasting Chai, is to heat milk in a saucepan, add 1.5 teaspoons of chai to the milk and allow to simmer for 10-15 mins. Strain Chai and serve with honey. This is a much stronger and better flavour, however it requires more time and dishes. Chai makes a great gift for Christmas and is delicious and full of great spices, which have many health benefits. 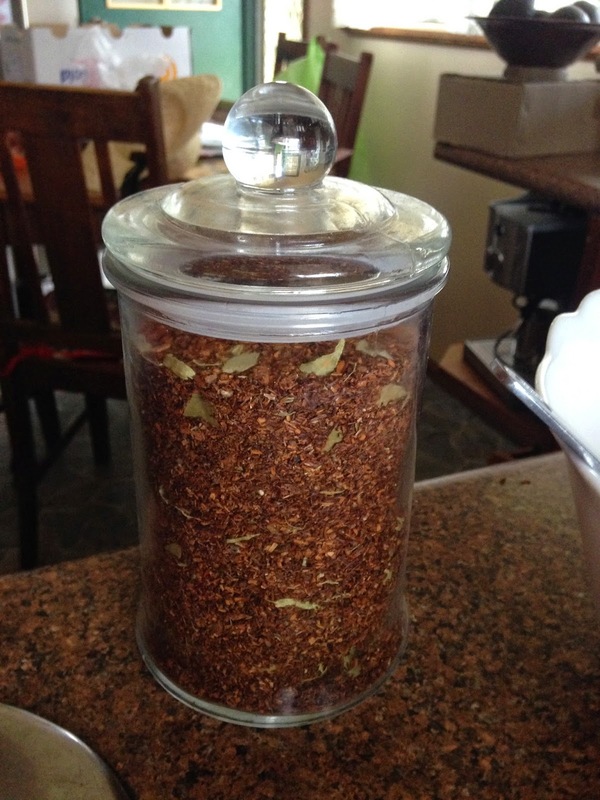 Homemade Chai is also easy to tailor to individual tastes. If you like it spicier, add more peppercorns and ginger, for a more 'licoricey' taste, add more cardamon pods and star anise. I personally am not a huge fan of cinnamon, so I add less that what other may prefer. So last month, it was time to grow the summer season of seeds, some of which I had seed saved, some of which I received in a seed swap from Liz, over at Eight Acres (I've still got to send my seeds, sorry for the delay!). I planted a mix of Luffa Seeds, Paw Paw, Silverbeet, Beans (mixed), cos lettuce, calendula, rosella and mini capsicum. 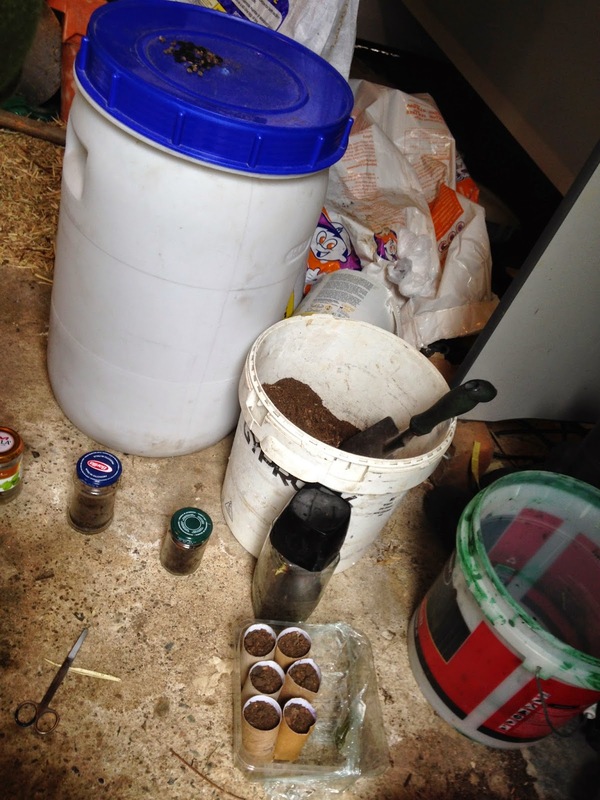 I cleared a space in the shed and sat down to happily spend an hour labeling pots, adding soil and planting seeds. 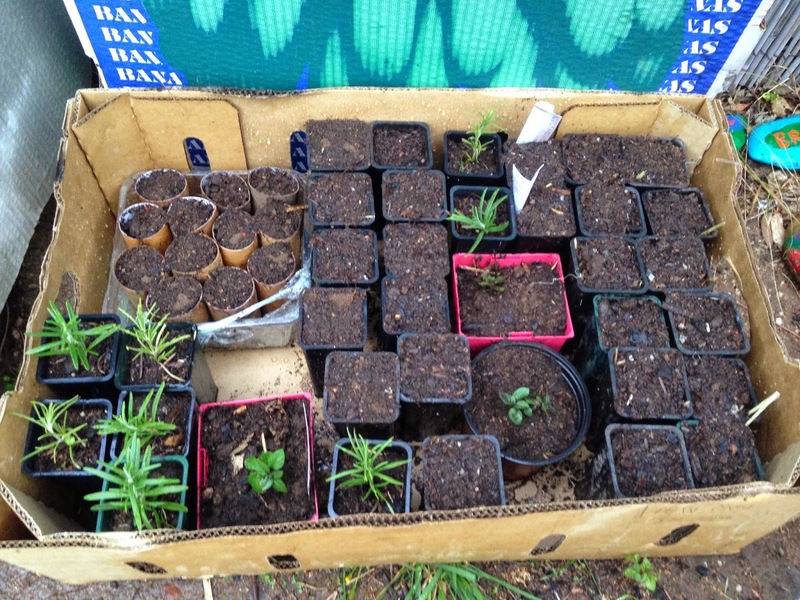 I grow my seeds in pots, then transplant into the garden after they have germinated. I find it easier to keep track of what grows and what doesn't. 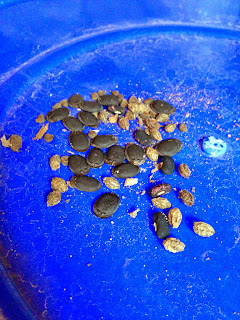 I planted the seeds in composted goat poo, I'm not sure how good it is as a growth medium, but I have HEAPS of it, courtesy of our 18 goats. 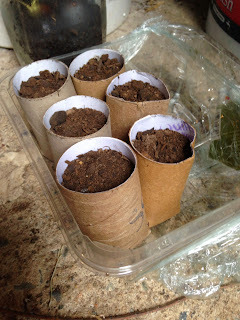 In keeping with my 'reduce waste' policy, I've been keeping my finished toilet rolls to use as biodegradable seed pots. The rest of my seeds I planted in re-used pots from various tubestock I've bought over the past year. I placed all the pots in a sunny spot, which is close to the chook pen, so I will walk past it and remember to water it morning and night. 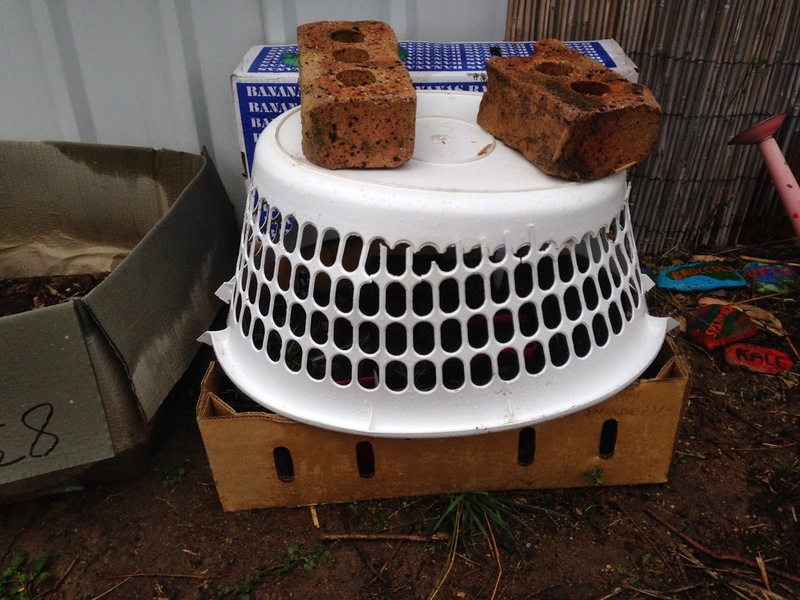 As my chooks are free range, I also added a 'chook cage' to prevent to girls from destroying the joint. 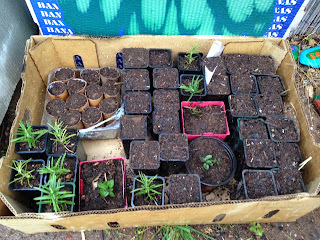 Hopefully most of the plants will germinate and I will be able to plant the edibles in Garden Bed #1 and the Rosellas and Luffas somewhere suitable. 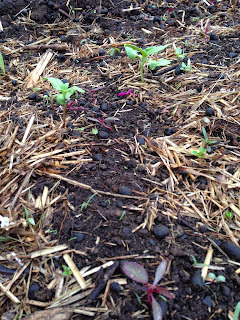 Garden Bed #1 is almost finished its food production of winter greens. 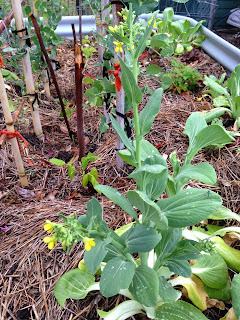 I'm just waiting for the last of the Bok Choy to go to seed, so I can collect those and use them for the next winter. 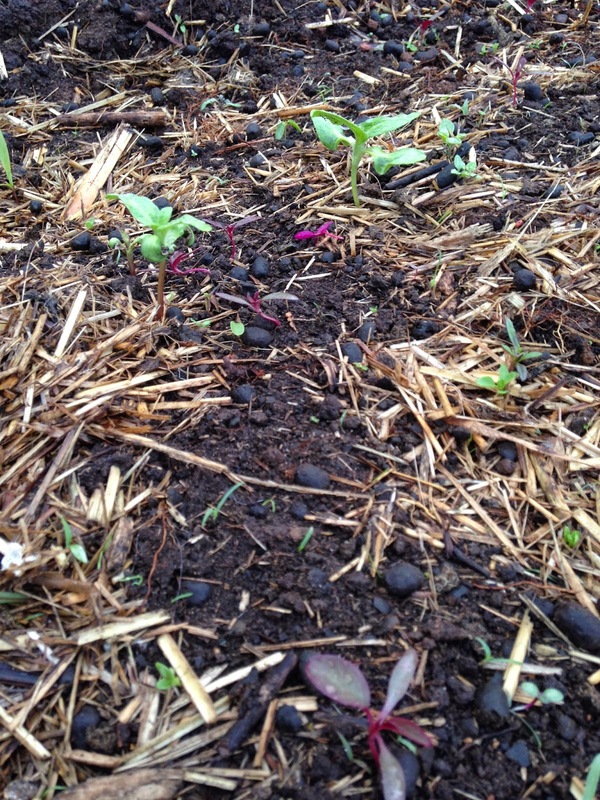 Meanwhile, the seeds I planted in Garden Bed #2 have germinated and are starting to grow. The seeds I threw in 'to see if they would grow' seem to have all sprouted. The seeds were a mix of Amaranth, Sunflower and some pink flowers I like at a cafe, so I collected their seeds.